Are you ready to add some fun to your classroom routine or downtime at home? 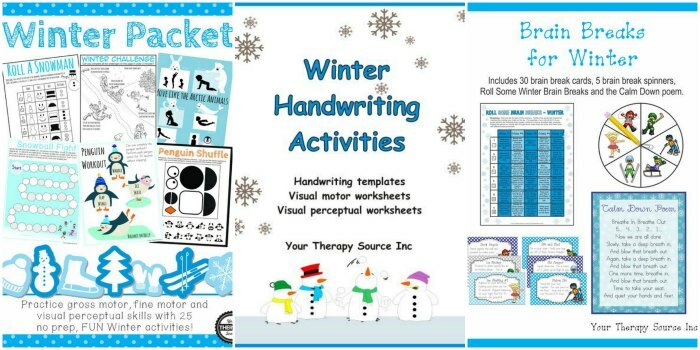 These Winter worksheets and activities are perfect for the class party, school work, after school fun or occupational therapy addition! This post contains affiliate links. 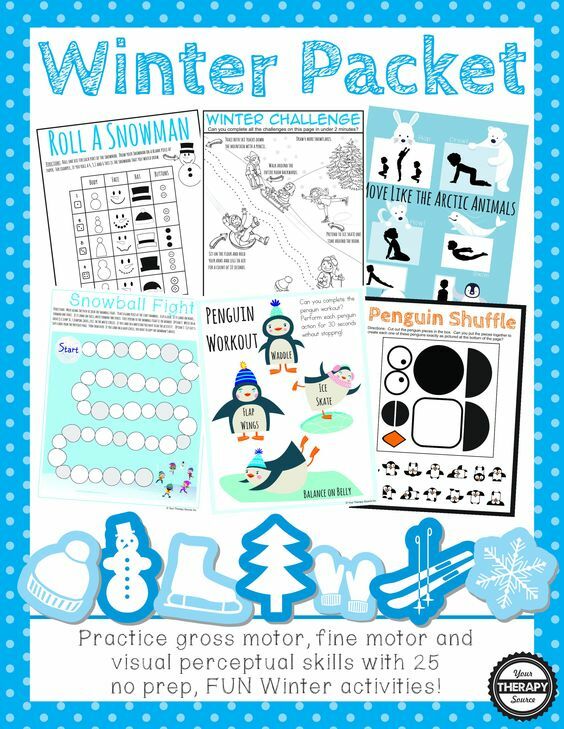 Winter Packet: Fine, Gross and Visual Motor Printables: Practice fine motor, gross motor, visual perceptual activities with this NO PREP, fun, Winter themed packet. 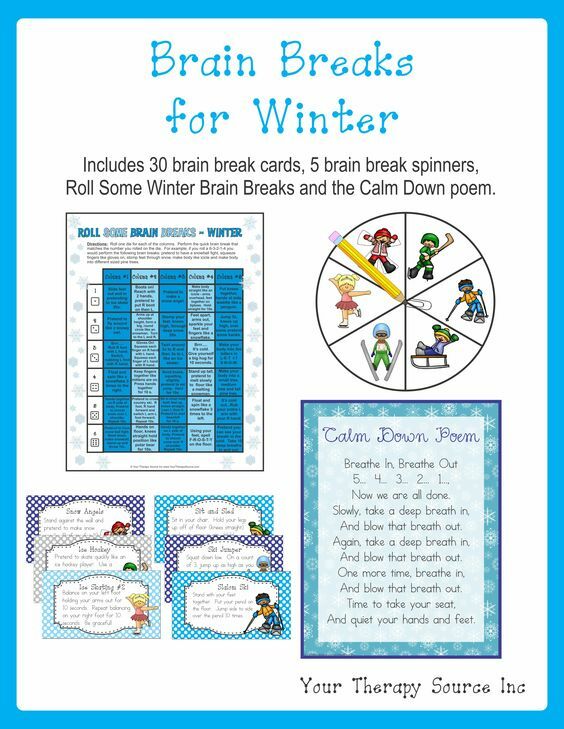 Brain Breaks for Winter: Includes 30 Winter themed Brain Breaks, 5 brain break spinners, Roll Some Winter Brain Breaks and Calm Down poem. 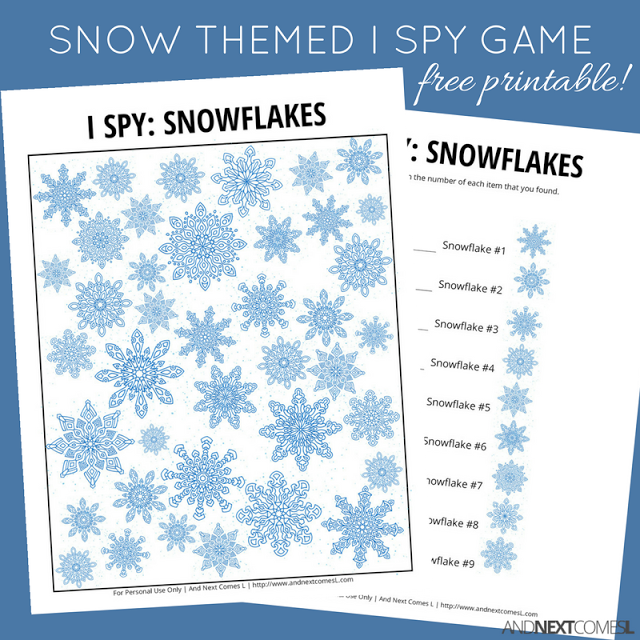 Snow Themed I Spy Game: I Spy printables like this snowflake themed one are great for providing visual sensory input to kids, making them a great choice for visual sensory seekers. They also help develop a child’s visual tracking ability and improve visual discrimination. 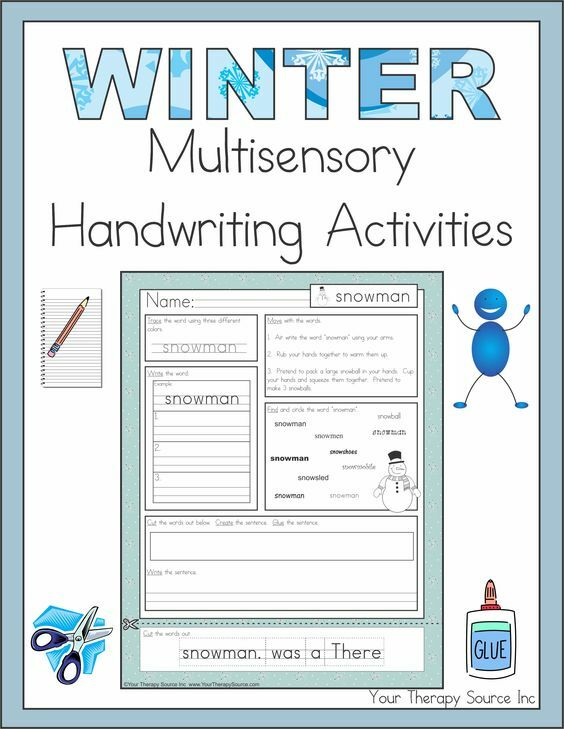 Winter Multi Sensory Handwriting Activities: Winter multisensory handwriting worksheets that include movement, scissor skills, gluing, “rainbow” writing and handwriting practice. Also includes a scoring rubric to track progress. 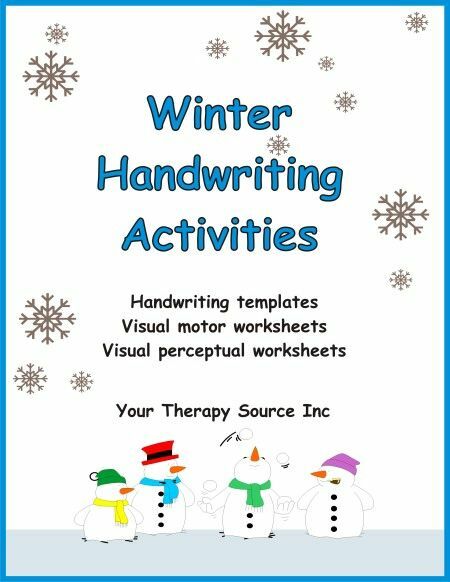 Winter Handwriting Activities: Includes 35 pages of Winter handwriting templates, visual motor and visual perceptual worksheets. 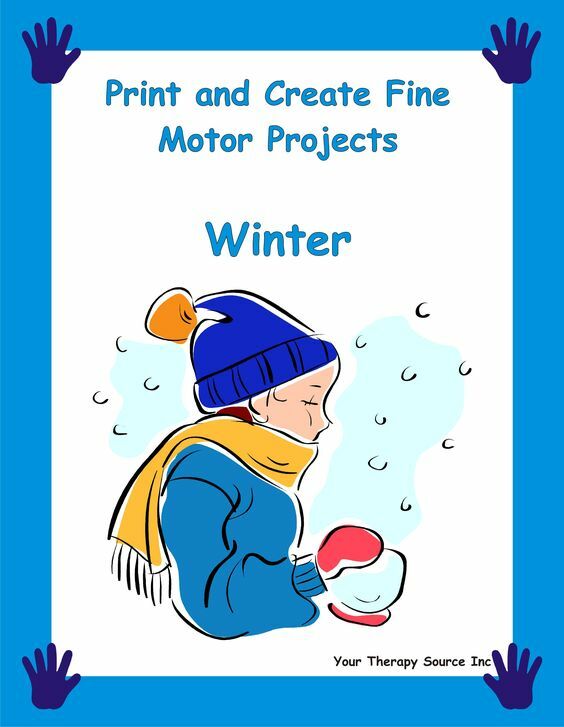 Fine Motor Projects: Includes 10 fine motor projects to complete with a Winter theme. Winter Yoga Cards: Stand tall like an Eastern moose, glide like a downhill skier and have fun doing snow angels. 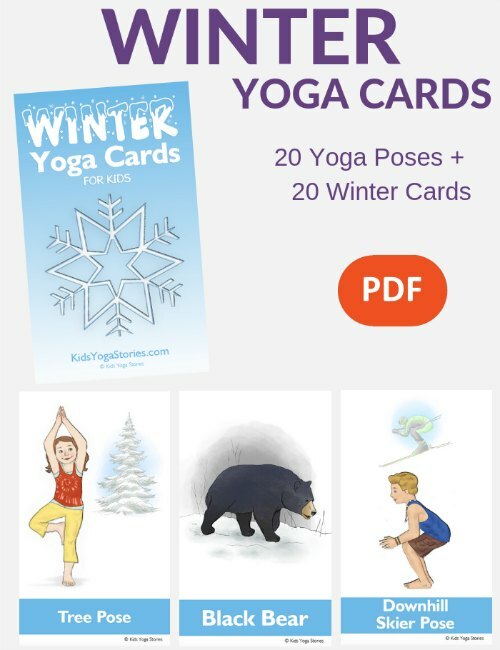 Download these 53 winter digital yoga cards to learn through movement in your home, classroom, or studio! 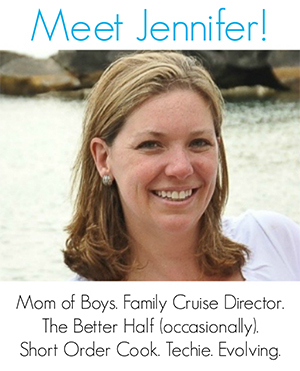 For even more winter fun, consider the following!